Make a delicate 'Filigree Trinket Necklace' using our pretty new charms on a fine rose gold plated chain. We used mixed metals for a sophisticated and trending look. Open a jumpring and link the filigree charm to the chain. 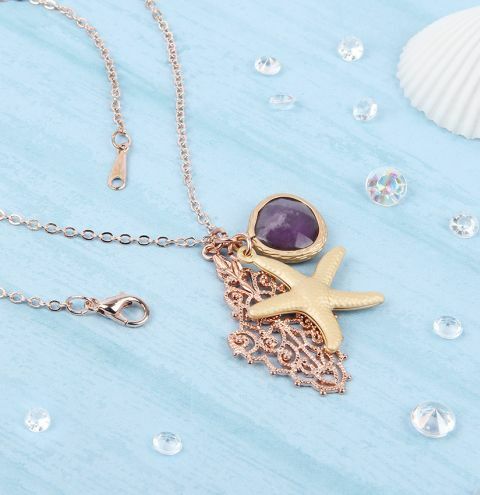 Connect to jumprings together, link one to the starfish charm and the other to the amethyst charm. Connect the jumpring with amethyst charm to the one you linked onto the chain.